We were honored this past weekend to be asked to lead the Minnesota Arabian Horse Breeders for the next year. We have long considered Fall Fest to be the Holy Grail of horse shows. Seeing Eternety being led by Jeff Schall many years ago convinced us this was something we wanted to be a part of. The enthusiasm of members and participants continue to endorse the facts that the Medallion program is the first, fairest, and most progressive of the Arabian futurity programs. Come to the show starting 9/30/11. We look forward to meeting you. 2011; its coming into focus. The to do list will keep us running all year. Start Alison with riding lessons, four is old enough. Enjoy the sunshine in Scottsdale. Bring Falcon out of the pasture and put him to work, twelve is still young. 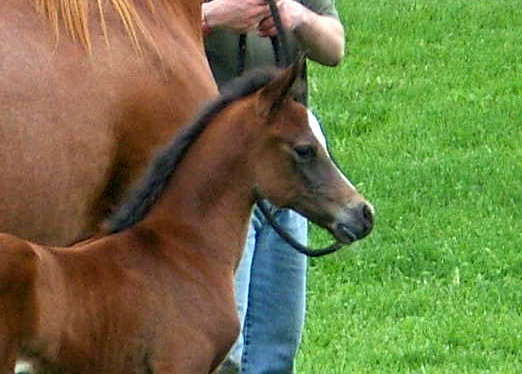 Find a halter home for Marhi and Marhvelous, babies are now yearlings. Point one, two, three, or four horses at Region 10, ouch. Win the Fall Fest auction class with Marhvelous, yeah. And along the way sell anything that eats grain. Merry Christmas and Happy New Year to all our friends and family. May the New Year bring you all peace and prosperity. The winter of 2010/2011 is proving to be brutal in the Midwest. From 30,000 feet its easy to feel warm and fuzzy about our horses and their prospects in the New Year. The reality is the day to daycare of our young horses and pregnant horses is anything but warm and fuzzy. I find myself grateful to have a great brother in law and friend putting on the warm clothes, bringing the hay, making sure there is water, providing the regimate, and caring. It takes great effort and its appreciated. Thanks Pete.